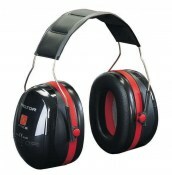 The highest attenuation muffs and best build quality we know of. Swedish made. Oil damped muffs. Headband style.